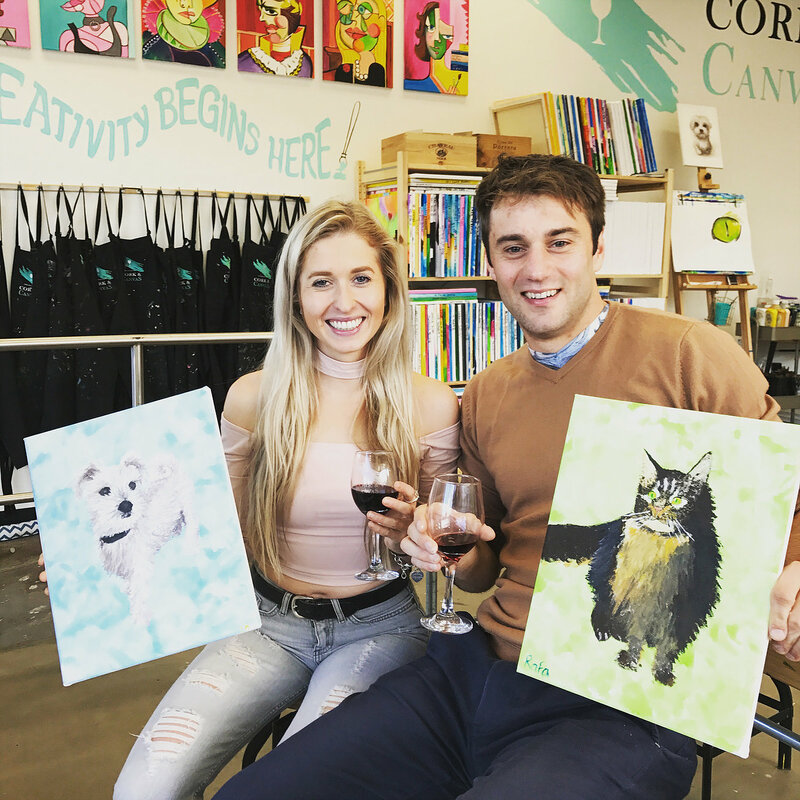 Paint Your Pet is our most heartfelt event of the year! After you book in online, email us a close-up, high-quality photo of your pet for one of our talented artists to sketch it on your canvas ready for you to paint (corkandcanvasaustralia@gmail.com0. We highly recommended that we can see the eyes clearly in the photo to allow you to achieve the best painting result. Only 1 pet per canvas due to time constraints. This is a 3 1/2 hour paint and sip session and our studio is BYO drinks and nibbles (we provide all glassware, bottle openers and ice). Children aged 9 to 14 are welcome to this session provided they are accompanied by an adult paint and sipper. 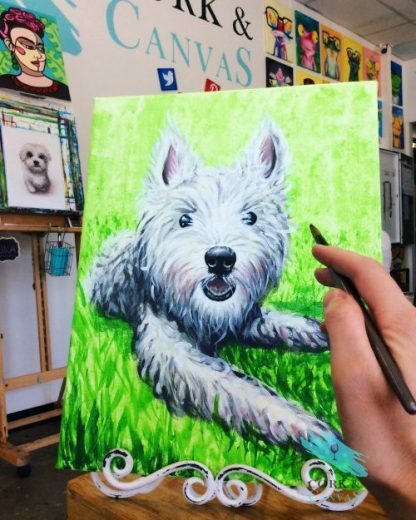 Our doors open at 1:30 pm and painting starts at 2 pm. Our Specialty Event Cancellation Policy overrides our typical cancellation policy. To cancel your booking, you must email us up to 7 days prior to your session to receive a full refund. If something comes up within 7 days of the session and up to 4hrs prior to the session start time, and you need to cancel or reschedule, a $25 rebooking fee per seat applies. Due to limited seating, if you email us within 4hrs prior to the session start time to cancel or rebook you will be considered a ‘No Email, No Show’ and you will not be rescheduled and no refund given. Please note 14-day notice is required for group bookings of 6+ people.